Mindfulness involves deliberate awareness of the flow of our present moment experiences. In this book, counselor and writer Padraig O'Morain provides exercises that will help you practice mindfulness immediately and explains how mindfulness can deepen many areas of your life, including your relationships. If you have never practiced mindfulness, this book will show you how to start. 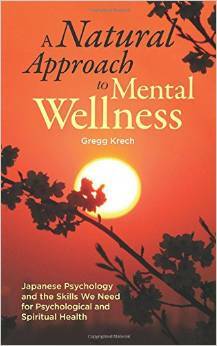 If you already practice mindfulness, this book will deepen and broaden your approach. 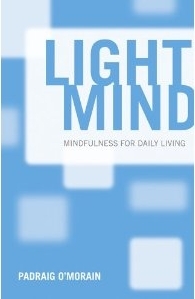 Light Mind includes a guide for the use of mindfulness in counseling, drawing on O'Morain's mindfulness workshops for counselors. It also includes a chapter on mindfulness in sports, an area in which the value of mindfulness has been recognized for some decades, especially in tennis and golf. Padraig O'Morain is a counselor and columnist with The Irish Times, The Irish Medical News and The Evening Herald. He is the author of Like a Man: A Guide to Men’s Emotional Well-Being and That`s Men - a collection of the Irish Times columns of the same name. This is his fourth book.